Discussion in 'iPhone and iPad Games' started by Boardumb, Sep 15, 2016. 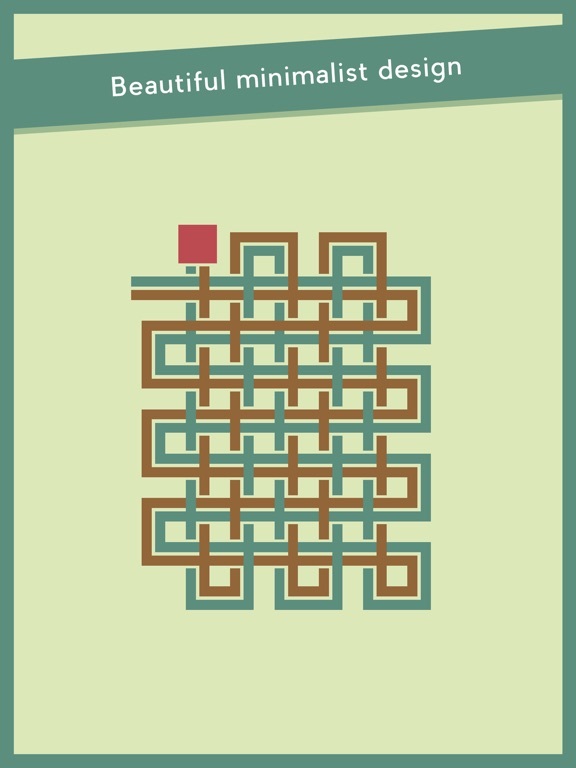 Hi people ha ha, I am back on the forums, just wanted to say that this is a great and elegant puzzler. I want to like this. Damn, it's a game that wants to be loved. But it's effectively broken for those who try it on an iPhone 6 Plus (latest iOS). I can't say if this is true for other devices/iOS versions. Ever heard the expression; "Looks like a fish. Moves like a fish. Steers like a cow."? (A hitchhiker's reference - BBC). Well, this is the same. It's an ultimately futile experience to try and "drag" this line in the direction you want as it very much has a life of its' own. 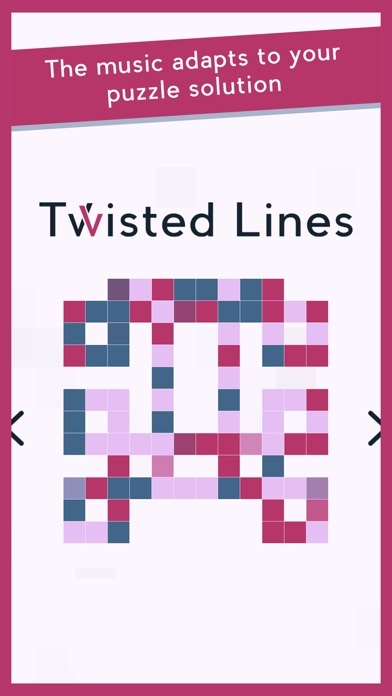 I don't know whether it's an issue of overly sensitive controls, or not properly calibrated for a screen of this size, however, just trying to get the line to go in a direction that enables you to complete the puzzle ends up being a whole new "puzzle" and one that the developers surely didn't intend! Good luck if you want to try yourself. I'm sure you'll be fine on an iPad screen. Anything else though? Highly recommended that you avoid until/if it's fixed. Just left you a 5 star review on the Dutch Appstore, the game works fine by me, I am on Ipad Air. @ BlackEyedGamer Hey there, developer here. We are really sorry that you have problems with the game. We never had any issues with the game on 6+ until now so we're not sure what's causing it but we currently trying to get our hands on a test device. We'll try to fix it as soon as possible. Promise! I'm really liking this. I played on my iPad Air 2 and no issues whatsoever. 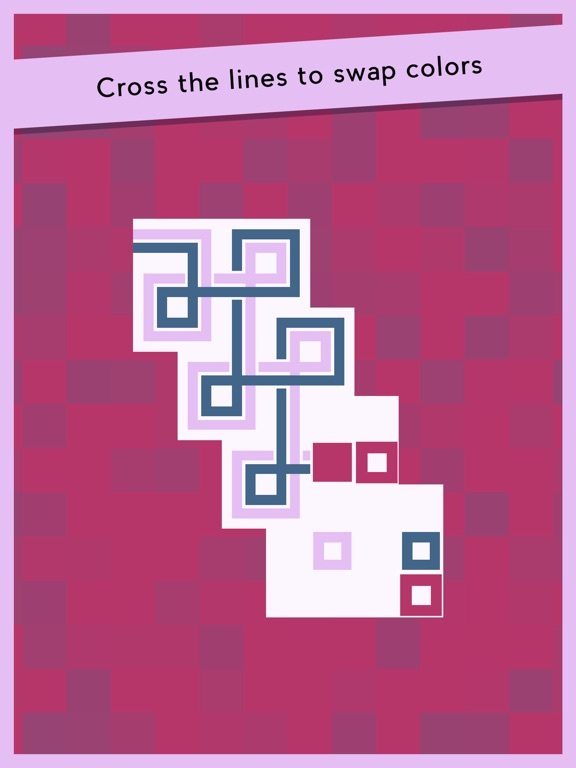 It's a great and very unique puzzle game. Yeah, this is the best game this week, shame there is no Game of the Week voting anymore. I was about to buy but then saw the iaps. Anyone knowhat are the iaps? So, I guess the "∞" one is the most eyebrow raising, but I haven't had a chance to get into the game to see how the difficulty ramps up and how important those hints may become. 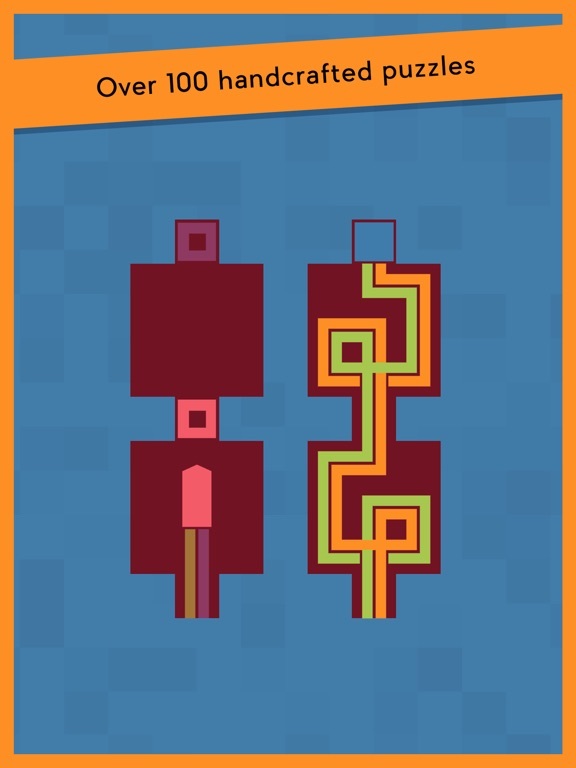 The iAPs for hints are completely optional (And you get ten for free at the beginning ). The game gets pretty difficult in later levels but is not designed with any pay gates in mind and I believe most people will never need to buy new ones. But if you get stuck somewhere they might come in handy. 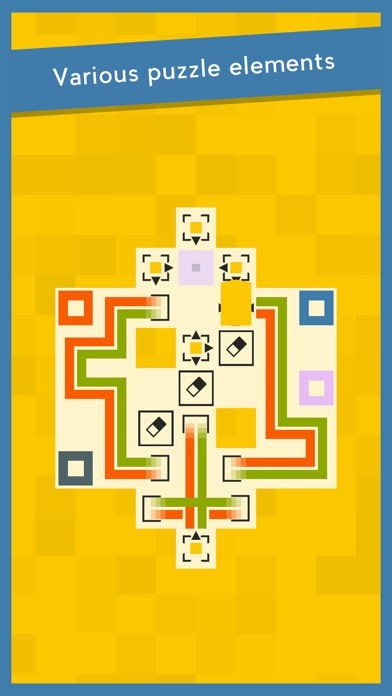 I think a lot of premium puzzle games have that system (the GO games, Kami, RGB Express, the Zeptolab Games, etc ) so we thought that people would be okay with it as its pretty common. 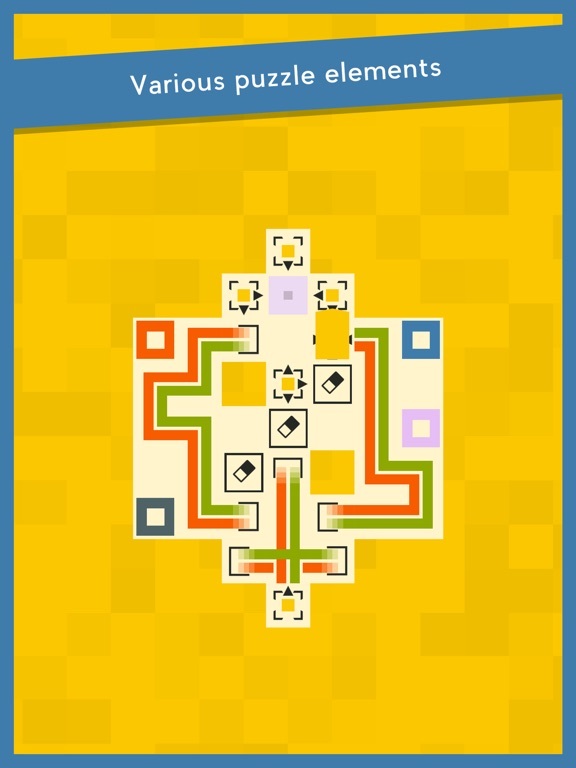 Yeah, that is okay and very legit in my eyes and helpfull ha ha, because world 3 has allready some nifty puzzles, for example level 3-4 and 3-5 are really clever layouts. Just got level 3-6 great stuff. 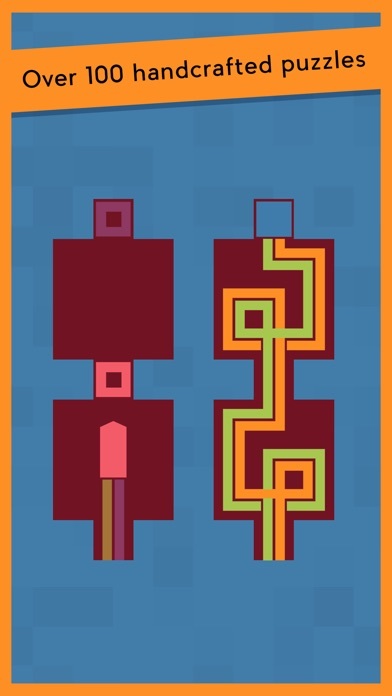 I can confirm: game is unplayable on an iPhone 6s Plus due to wonky controls. 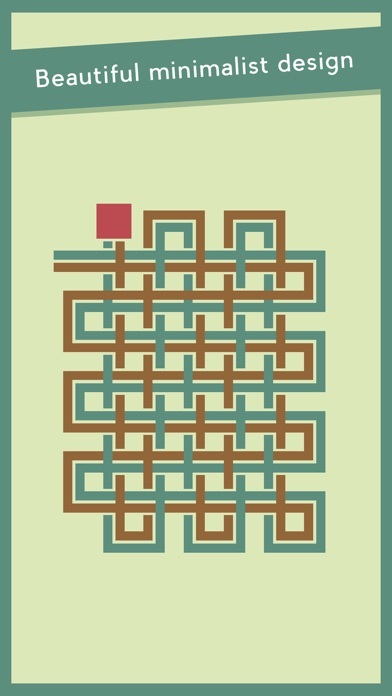 But it works fine on my iPad 3: very, very good game. Chapter 5 really introduces a whole new dimension to this game. The level design keeps impressing me. A solution can seem so elusive one moment and so obvious the next. 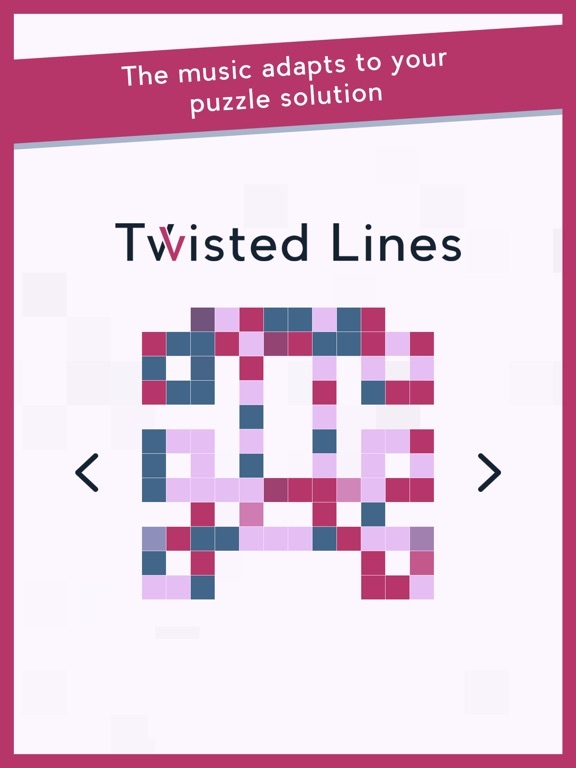 Highly recommend this great puzzler. I guarantee that you've never seen a mechanic like this. Very mind-twisting. Thank you! That's one of the nicest things I've ever heard about the game! Really glad you like it. 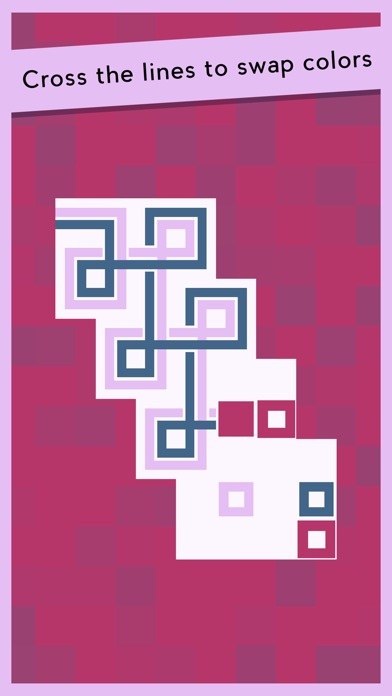 I really love this type of pick up and play puzzle game. Was able to beta test a little bit and will be purchasing on my payday this week. It's very well made. Has worked great for my on 6s+ so far. Finally picked this one up. Enjoying it so far, but need to get used to my finger blocking the action. Also, it is a bit buggy -- I've had multiple unresponsive "yes/no" popups that forced me to quit the app to get things working again. Not a big deal, but small nuisance. Here's a short video of the first chapter if anyone wants to see what it's like. Things get a lot more interesting once teleports and other mechanics are added. Edit: If the devs see this, I think it might be minimizing that causes the freezing. Not 100% sure though.